Longmate Agricuture Co., Ltd. announced that it has invested $32 million to grow bananas in 1,000 hectares of land in Kampot’s Chhouk district. Cambodia opposition leader Kem Sokha was denied bail on Wednesday after almost a year in jail on treason charges that critics say were trumped up by premier Hun Sen to gift himself a free run in last month’s election. The Minister of State for Asia & the Pacific is in Cambodia for meetings with the government and members of the private sector and civil society. A new partnership with the Food and Agriculture Organisation of the United Nations seeks to enhance the quality of local meat by modernising facilities and raising hygiene standards, with a pilot project launched in Takeo in November. Growth in the Kingdom’s construction sector has led to Cambodia becoming the largest importer of Vietnamese steel, taking in nearly 40 per cent of what the neighbouring country has exported over the last seven months, data from Vietnam’s customs authority said. Thirty Cambodians who had been living in the United States have arrived in Cambodia after being deported under a U.S. law that allows the repatriation of immigrants who have committed felonies and have not become U.S. citizens. Following a decision to lease land to Chinese investors in March, City Hall spokesman Met Meas Pheakdey yesterday said that vendors along the riverside from Chroy Changva Bridge to the night market must move their places of operations to make way for the Chinese development project. 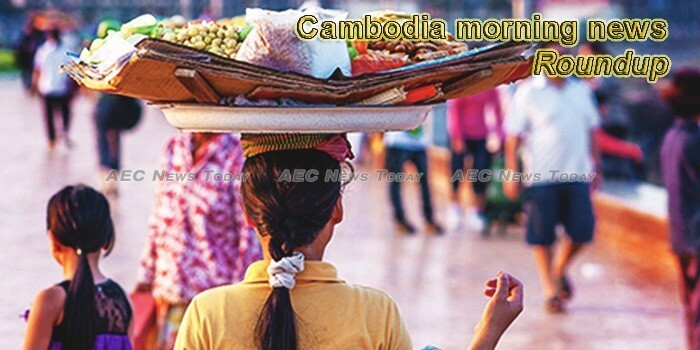 United Nations stands ready to be Cambodian partner in implementing Cambodia’s National Development Program for the 6th mandate Royal Government, according to Ket Sophann, spokesman for the Ministry of Foreign Affairs and International Cooperation (MoFAIC). Cambodia yesterday expressed support for the United Kingdom’s bid to become an Asean dialogue partner. Sixteen of the 20 parties that took part in the July 29 national election were represented on Tuesday at the inaugural meeting of the “Consultation Forum” – a committee formed by prime minister-designate Hun Sen as a step towards a “culture of dialogue”. Svay Rieng provincial administration officials met yesterday to iron out problems related to the ownership of houses and land allocated for 200 military veterans in Romeas Hek district’s Andaung Trabek commune. The Cambodia ITF Taekwondo Federation has sent seven athletes to compete at the International Taekwon-Do Federation (ITF) Junior and Veteran World Championships currently underway in Minsk, Belarus. The Ministry of Tourism is calling on owners of restaurants to enter a nation-wide culinary contest, announcing that the deadline to submit applications has been pushed back to the end of September.